I had about a billion comments…really funny clever ones. I was in comment love. I think I hounded down and thanked every single person. But here is what I don’t get. If I respond to your comments in my comments…do you ever see it? I should have asked that one a long time ago. This blogging business is tricky stuff. Not only do I try to comment in my blog but I then track down the person who commented and thank them personally. 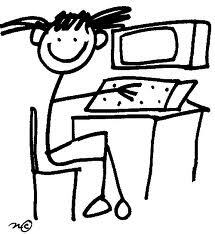 The result of yesterday is that I am playing “Words” with 4 more people and I am commenting on 6 more blogs!!! 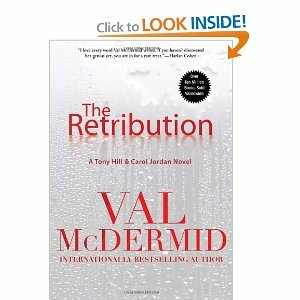 I am reading Val McDermid’s new book…it is so good I can’t see straight. I think that some of her books were a PBS series…the one with Tony Hill and Carol Jordan…detective and psychologist. This one involves a seriously evil serial killer…sometimes there is nothing better than an English mystery and hers are fabulous. For the getting your reply, using the blogger system, the commenter has to post subscribe by email. But then you get every comment. If you add one of the other commenting systems, people can get comments that are specific replies to theirs, and without opting in each time. I often wondered about that, Patty. Sometimes I go back to the blog where I commented to see if the blogger did respond…but not always. It is kind of annoying to not be able to have the actual conversation. I did enjoy the topic yesterday, too. You can subscribe to replies to comments or come back and look. I generally don't do either. I'm glad you had a super day!! Patty-it's what makes you feel comfortable. I used to comment back on my blog after comments, realizing that the blogger who left the comment does not always go back to read it! Of course, when they ask a question, then I leave a reply on my blog. This reminds me of a blog that I commented on, and hesitated, because they had over 200 comments, and realized that half of the comment were from the blogger's reply, and one commenter left over 50 comments having an actual back-and-forth conversation with the other commenters. Never saw anything like that! In WordPress, I get an email when someone comments. I had the same set-up in Blogger. If I reply to all, it sends an email to the person who comments AND posts the comment on the blog. The only problem with that is if they subscribe to comments, they may get it twice but I don't think a lot of people do. Just stopping by to say “hi” since I saw you listed on the Comment Challenge page. Nowadays if I want to make sure my comment reaches a guest to my blog, I track them down on their blog or e-mail them. I remember how excited I was to discover that if you click on the commenter's picture, you find out their contact information! Yes, getting comments is good! Have fun with it! I reply on my blog and visit there's but I often forget to go back and check if someone has replied to a comment I left. On WordPress you get a list of the other wordpress blogs you have commented at and can easily follow up but its not so easy if they are with blogger. Thank you for your super nice comments on my blog. I have the same issue with Blogger. I usually end up going back to the commenter's blog (like now) to let you know I appreciate your thoughts!